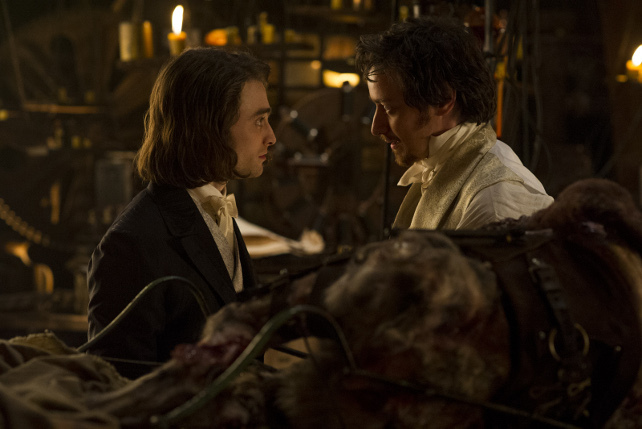 (SPOT.ph) Victor Frankenstein opens with an eerie warning—"You know this story." Truthfully, many people would claim to already know the tale of a mad genius and his beloved monster, but the film directed by Paul McGuigan and written by Max Landis poses yet another spin on an otherwise relentlessly retold story. Much like the title character himself, this contemporary take on the sci-fi horror classic refuses to be shy of its ambition and although successful in many ways, struggles to be anything more than a hit or miss for most moviegoers. We witness the eccentric brilliance of medical student Victor (James McAvoy) through the eyes of Igor (Daniel Radcliffe), whom Victor rescues from being a pitiful circus act in exchange for being his unlikely lab partner instead. As the real hero of the story, Igor juggles coming to Victor’s aid and wooing a woman named Lorelei (Jessica Brown Findlay), while a superstitious policeman (Andrew Scott) intends to put an end to everything that the film works toward: Creating life out of nothing. The dynamic between Victor and Igor proves to be the most captivating part of the film. The combination of Igor’s reluctant loyalty and Victor’s insistent and often manipulative tendencies make them seem like another odd-couple tandem, set in 17th Century London. 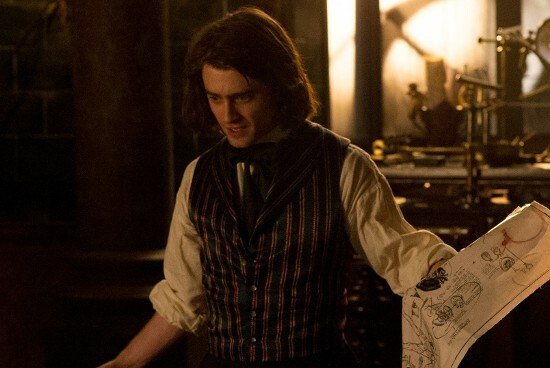 Although it could be taken that way at face value, the script allows both characters to develop into much more with the generous assistance of McAvoy and Radcliffe’s acting capabilities. As strongly as Igor and Victor come across to the audience, other portions of the film suffer. Igor’s romance with Lorelei leaves much to be desired, the actors lacking both chemistry and material to make it anything more than forced and shallow. Scott’s presence in the movie creates the promising juxtaposition between science and religion, which comes up quite often, but it lacks any real significance to the plot so becomes the type of conflict that belongs to a different Frankenstein adaptation all together. For those who are looking forward to watching a frantic monster chase, expectations need to be lowered. Along with that, the action sequences attempt to deliver the cleverness of the 2009 Sherlock Holmes movies, but instead they fall short due to inconsistency. Similar to the process of creating a monster, what we already know of the story of Frankenstein echoes only as the skeleton of the film, while the muscle and the meat introduce a different perspective that was not touched upon by previous adaptations. Had there been more genuine attempts to tie all of the film’s elements together, Victor Frankenstein could stand to be more memorable than his own monster. Victor Frankenstein is now showing in theaters. Photos courtesy of 20th Century Fox.